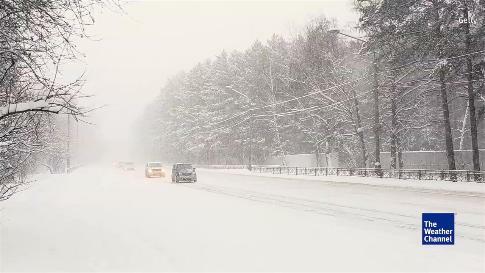 According to National Weather Service officials a winter storm may hits to larger area that includes much of New Jersey, Pennsylvania, upstate New York and New England. The severe weather updates come just a week after the region saw temperatures reached into the 60s. The chilly weather and snow some areas got on Friday is expected to be just a teaser. A news shared by Fox news says that, “It’s a noticeable difference. It’s going to be a cold week,” said Brian Hurley, a meteorologist at the weather service’s Weather Prediction Center in Maryland. The blizzard watch for the New York metro area encompasses New York City along with Long Island, coastal Connecticut and southern Westchester County. Carlie Buccola, a weather service meteorologist based on Long Island, said a snowfall of 12 to 18 inches is predicted for the area along with sustained winds up to 30 mph with gusts up to 50 mph. Visibility could be a quarter mile or less, Buccola said. The lower Hudson Valley and northeastern New Jersey could also get 12 to 18 inches of snow, Buccola said. The blizzard watch is not extended to those areas because high winds and low visibility are not expected.